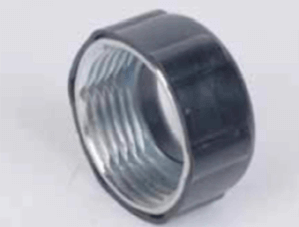 Consult our Bushing catalog of our range of industrial electrical material. 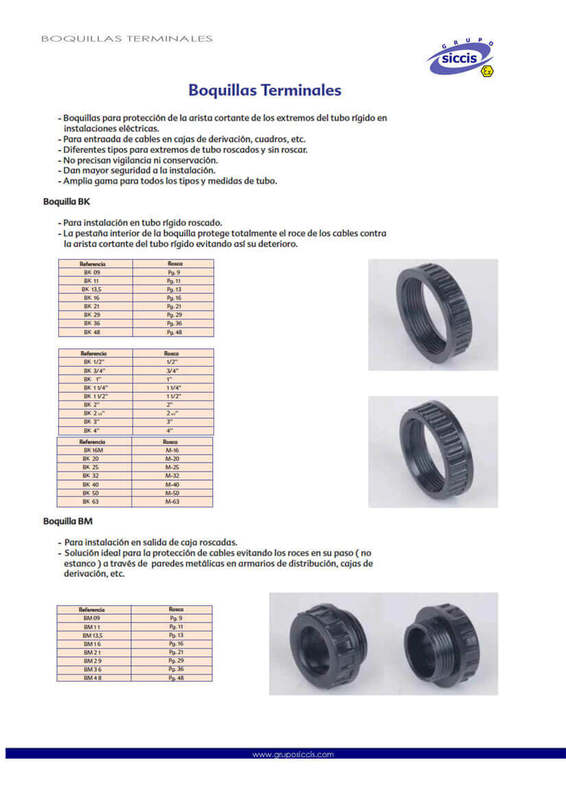 Bushings for the protection of the sharp edge of the ends of hard pipes in electrical installations. Bushings for cable entry in junction boxes, control stations, etc. Bushings of different types for threaded and unthreaded pipe ends. 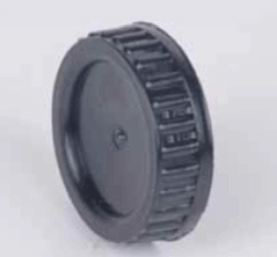 Our bushings are maintenance-free and guarantee safety on the premises. Our GK bushings border the sharp edge of the rigid tube, protecting the cables. 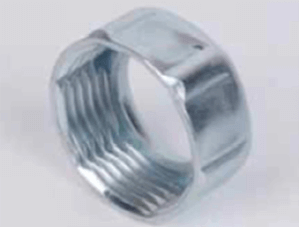 Valid for threaded or unthreaded pipe, it is snap-fit with a simple hand stroke. The bushings even fit oval tubes. These bushings are the ideal solution for cables protection, avoiding the friction in their passage (non-tight) through metal walls in distribution cabinets, junction boxes, etc. It is not necessary that the drills are threaded to adopt this solution. Flexibility of design depending on the thickness of the wall. Bushings for installation in threaded rigid pipe. 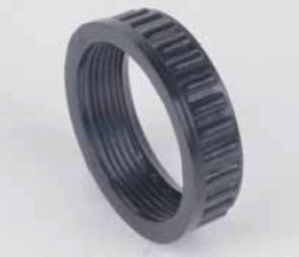 The inner flange of the bushings completely protects the rubbing of the cables against the cutting edge of the rigid pipe, avoiding its deterioration. They are the ideal solution for cables protection, avoiding the friction in their passage (non-tight) through metal walls in distribution cabinets, junction boxes, etc. 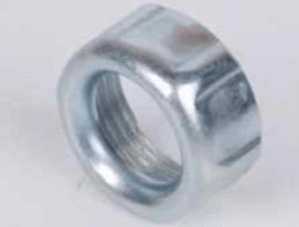 Bushings for protection of cables with sharp edges in threaded pipes. Bushings are stamped in steel. 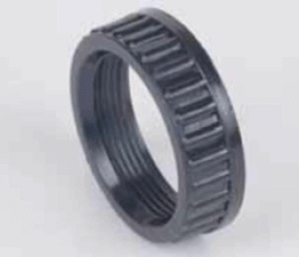 High resistance to impact deformation or tightening torque. 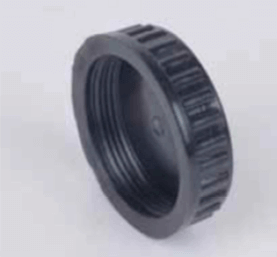 Bushings are available with earthing (add /PT to the reference, example: BME/PT-36). 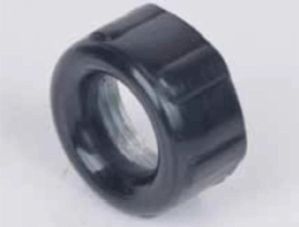 Bushings similar to BME bushings but with a polyethylene coating, which makes them highly resistant to corrosion. 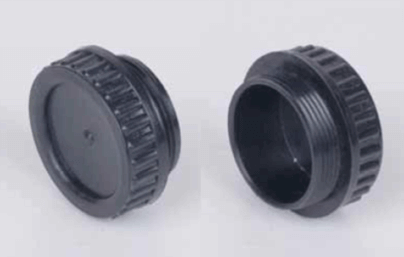 Blind bushings made of polyethylene for installation in threaded box outlets. Blind bushings made of polyethylene for installation in threaded rigid pipe.